The Capital Barbie: The It List! Happy Friday everyone! 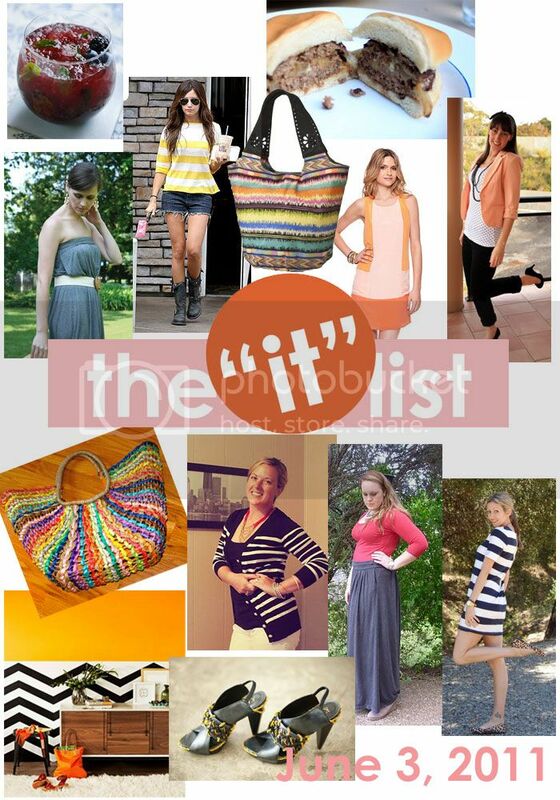 The IT list is celebrating it's ONE YEAR anniversary this week! It has been published 42 times in the past year... crazy, or what!?!? Also, the IT list will go on a brief summer hiatus for the next couple of weeks - but don't worry, it will return before you know it! In the meantime, enjoy these fabulous links! thought & musing is looking sweet in peach and polka dots - what a fun combo! a lucky fifth is dreaming in black and white - check out the fun inspiration she has compiled here! good tots reviews what recipes they have been loving in her household lately... including a super yummy cocktail recipe for the adults! one hundred inspirations features Ashley Tisdale's fresh summer outfit for only about $100!